There are not too many kid’s programs that I like my daughter to watch. I have to be honest, I find many of them to be either annoying or just plain pointless. I find the Teletubbies to be both, but my daughter loves them. She thinks that they are hilarious. 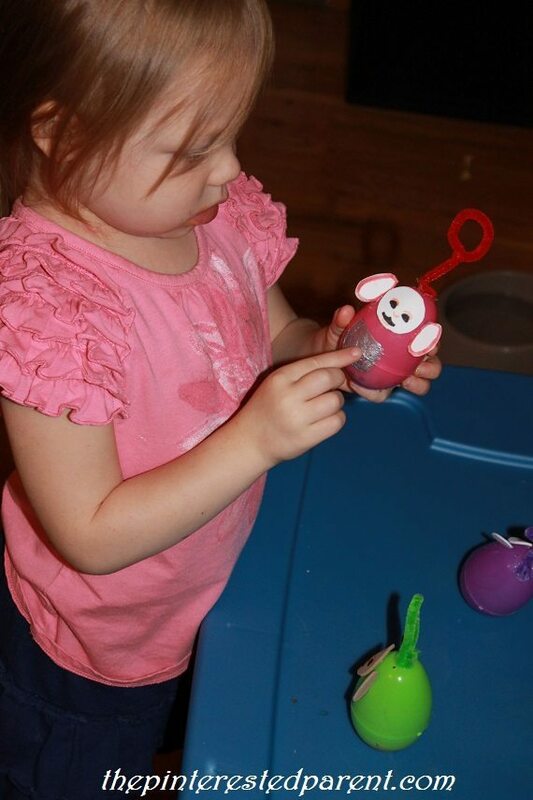 She wanted to watch them the other night, but I did not want her to watch television, so we made a deal that we would make Teletubbies’ crafts instead. 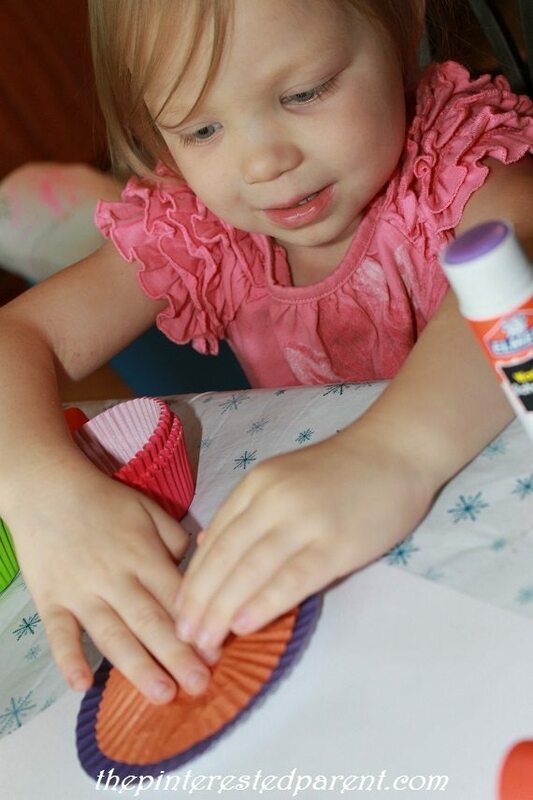 She wanted to make them out of cupcake liners. She pulled out the liners & separated out the Teletubbies’ colors. 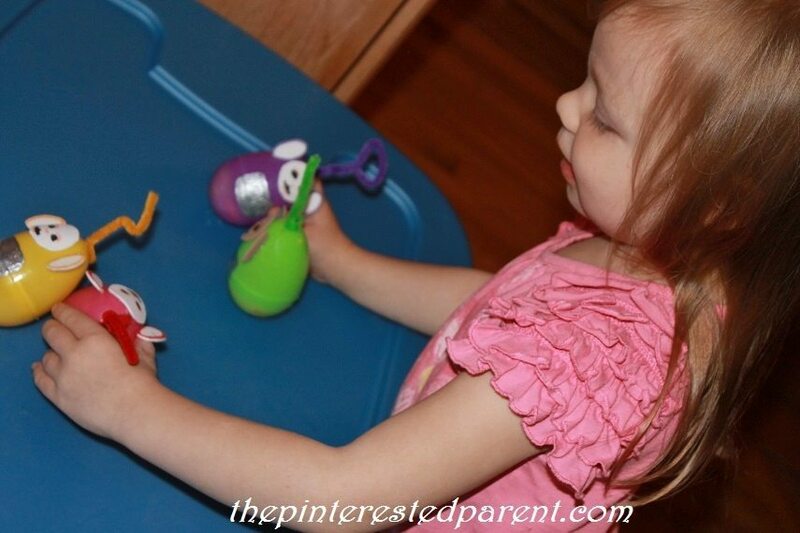 She began her craft, but then decided it would be more fun to play craft store. She lined up all the liners & set up her craft store instead. She changed her mind, but I still had a project in mind that I thought she would enjoy. 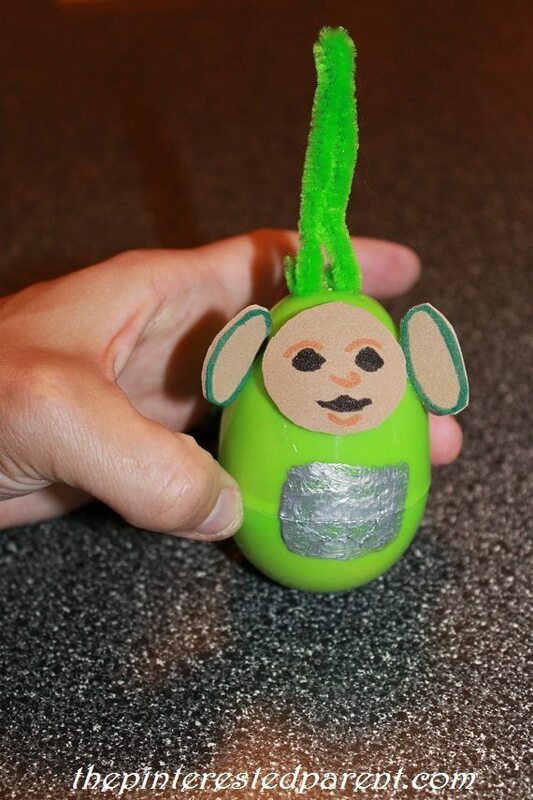 I had seen some weeble wobble crafts online during Easter. There were some cute ones from Almost Unschoolers & many others. I had been meaning to make them for a while. It just so happened that we had just found a bag of jumbo Easter eggs while packing for our upcoming move & as luck would have it, they were the perfect colors for our Teletubbies’ project. 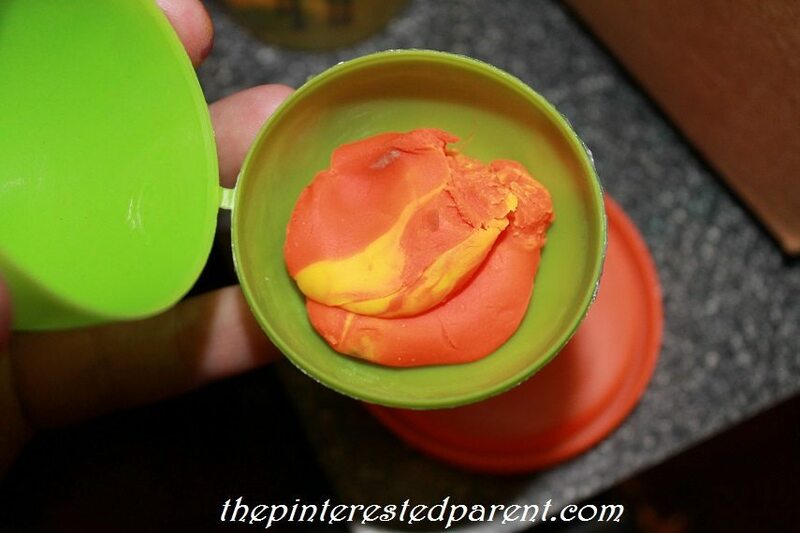 Open up your plastic eggs & press a lump of Play-doh into the bottom of each of your eggs. Put the eggs back together & test them to out to see how they wobble. 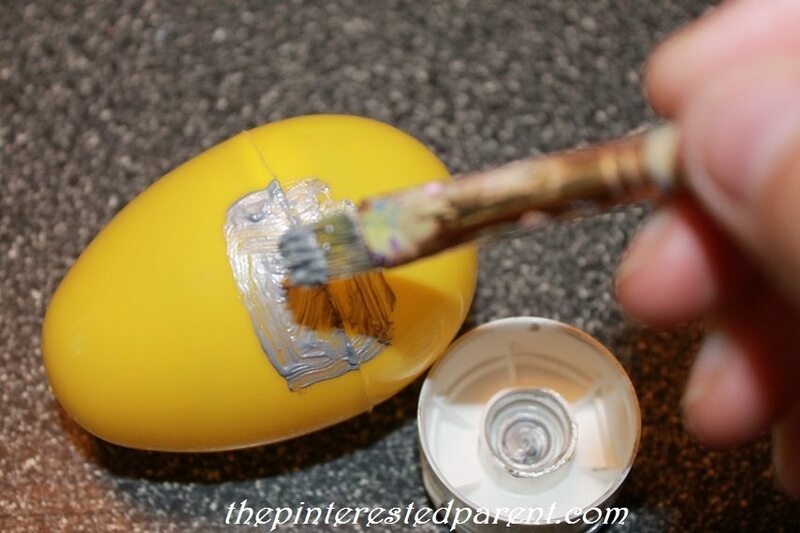 Paint a rectangle of silver paint on the front of each egg & then let dry. 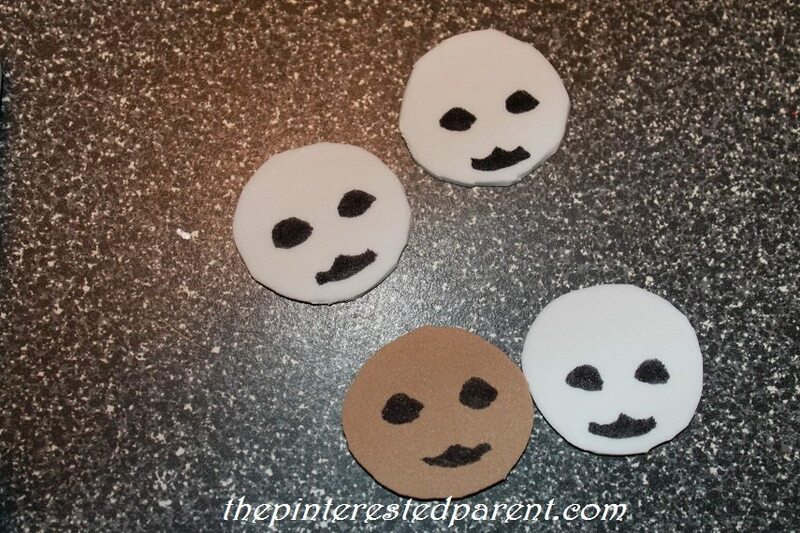 Cut circles out of foam to make your faces & then draw in the faces with a magic marker. 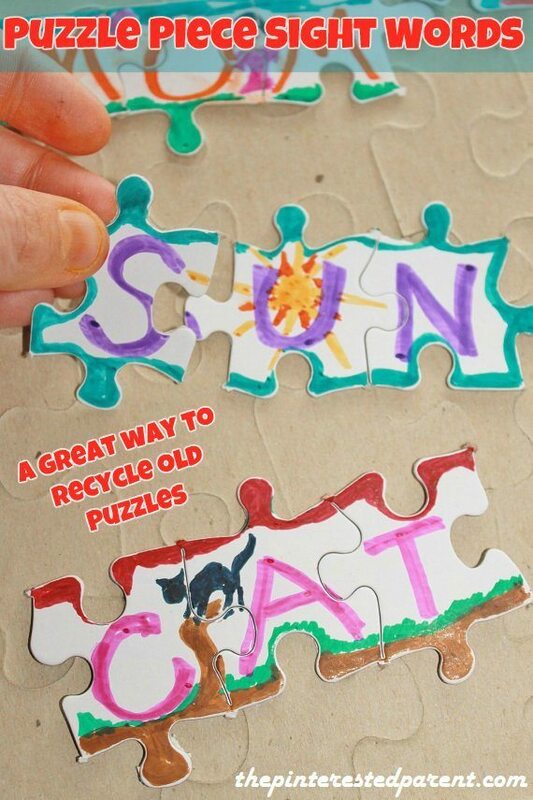 Cut out the ears & then outline them in magic marker with the color that matches the body. 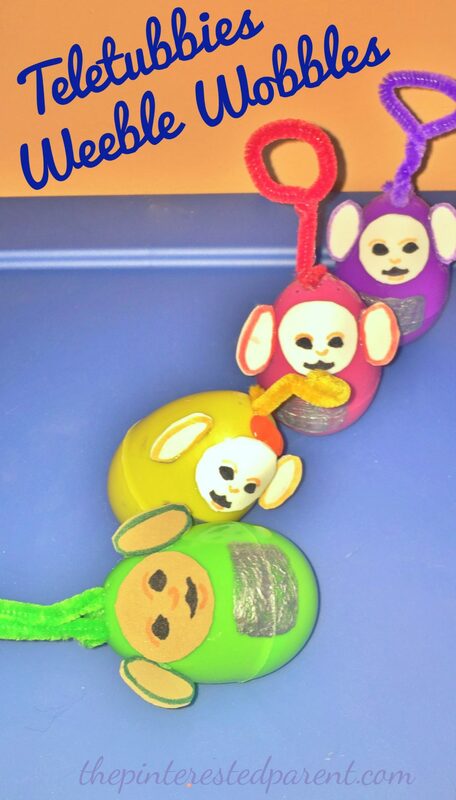 These entertained my little girl for a while. She laughed while playing & doing impersonations for each character. 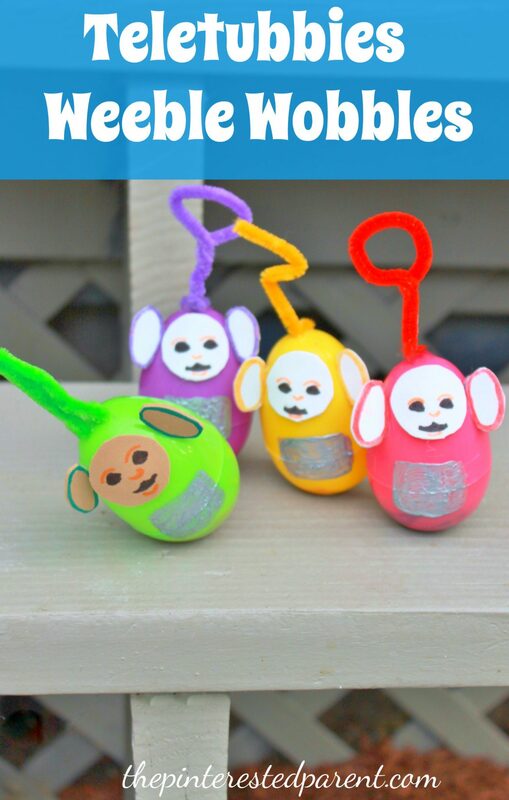 Now these are the kind of Teletubbies that I can deal with. Oh, it is horrible. My daughter loves them. They freak me right out. Lol!